In addition to each story read, LeVar Burton shares fun facts about all sorts of things including how a bowling bowl is made, how to create a compost pile and the importance of reusing your scraps, and so much more. My girls loved the four stories that make up this DVD, with the "If You Give A Mouse a Cookie" being their favorite. I was happy to see them get so into the show and love learning about things. Savannah couldn't get over how bowling balls are made and loved having some of her favorite storybooks read to her, while enjoying the colorful illustrations from the book. I hope PBS Distribution continues to release READING RAINBOW DVDs so that my family and other fans of this beloved television series can pick up and grow a READING RAINBOW collection that they can enjoy for years to come. "Butterfly in the sky, I can go twice as high...” is the opening to the instantly recognizable theme song for the iconic series READING RAINBOW. 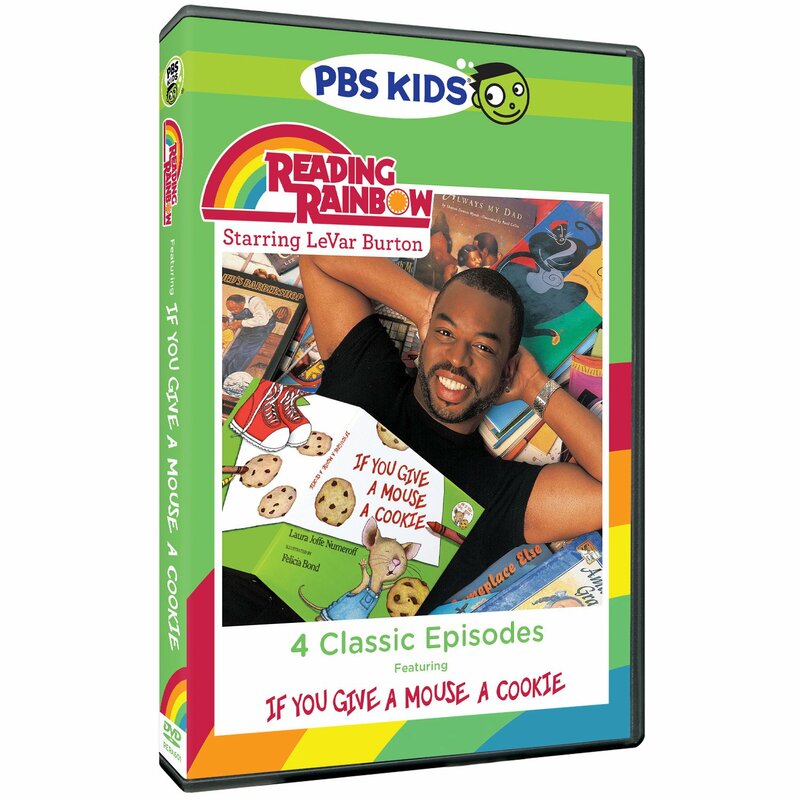 PBS Distribution announced today it is releasing four episodes from READING RAINBOW on the new DVD “IF YOU GIVE A MOUSE A COOKIE.” Since 1983, this beloved children’s television series has been bringing stories to life. “IF YOU GIVE A MOUSE A COOKIE” will be available on DVD on May 12th. The DVD run time is approximately 120 minutes and its SRP is $6.99." The DVD features four classic episodes from the iconic "Reading Rainbow" series. Each episode of the program, hosted by LeVar Burton, features a noted celebrity reader narrating a celebrated children's story. For decades this beloved series has been bringing stories to life and helping kids form a lasting connection with books at home and in the classroom. I love educational dvds like this one for kids and anything PBS puts out is usually great.